The site diary app which makes site diaries easy. Save time every day and ensure you have bulletproof records you can always find and rely on. The implementation of Dashpivot has shown immediate benefit and return of investment. 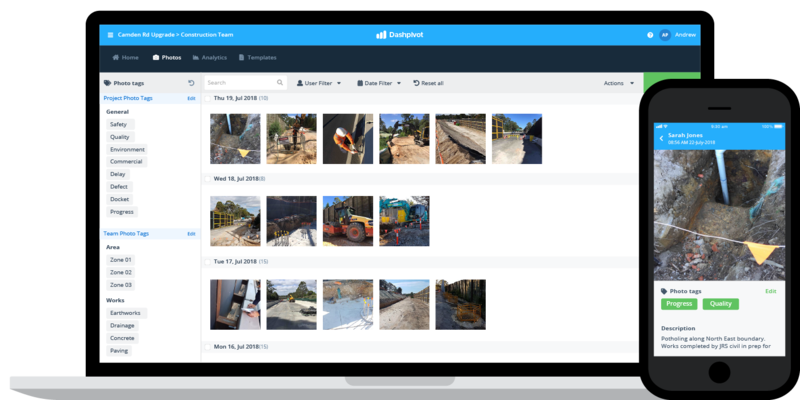 One of the key features is the sharing and capture of the site activities via the photos page and the site diary. Increase your productivity and eliminate your annoying site diary admin with the Dashpivot site diary app and software platform. 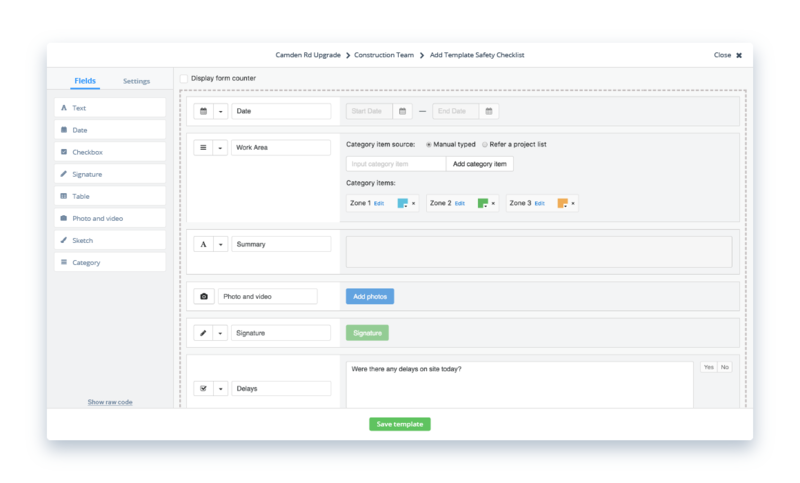 Create your own site diary with the flexible digital document builder, or use (and edit) our free site diary example template. 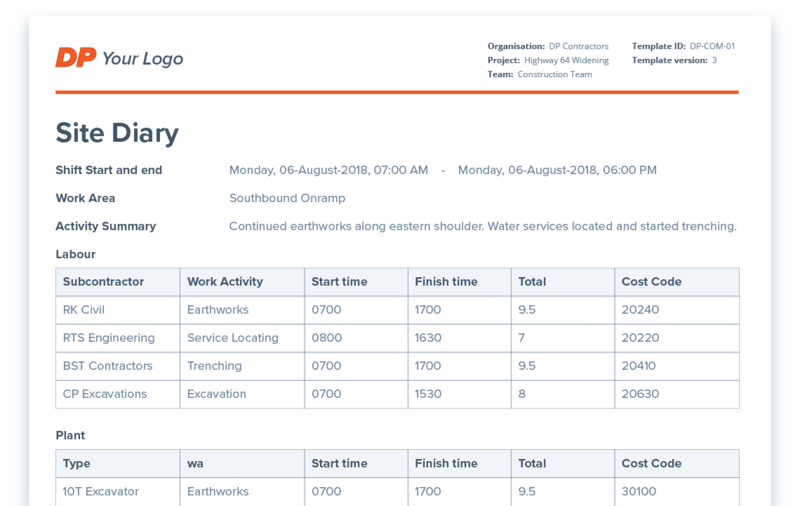 Complete your site diary on computer, mobile or tablet - quickly and easily. Take and attach photos in real time. 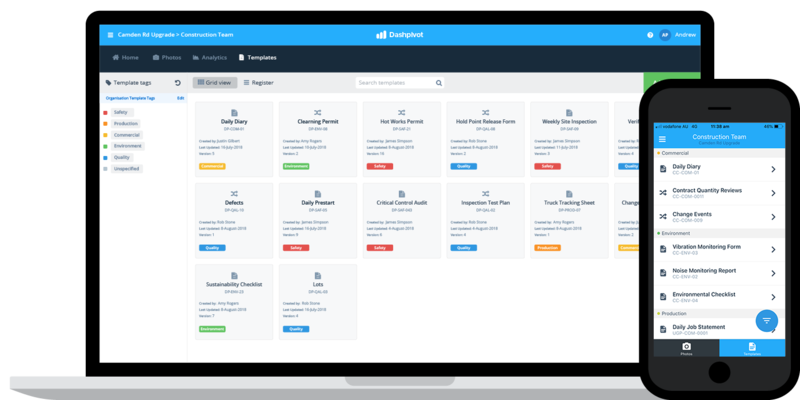 Build bulletproof records of all of your work. 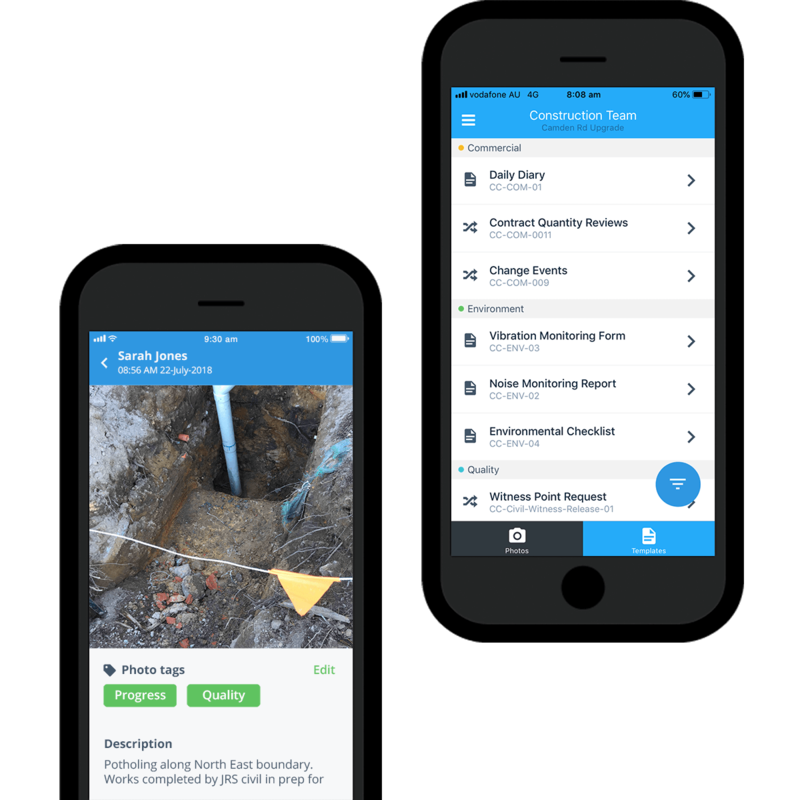 Take photos inside the site diary app on your phone or tablet on site as everything is happening. Organise your photos with smart tags, and have them automatically attached to your site diaries for easy traceability. Need to get a site diary record out of the software? Instantly print, download or send any of your site diaries as perfectly formatted CSV or PDF documents. Every export has your logo and company colours, so everything stays standardised and professional. Try the site diary app and software for free. 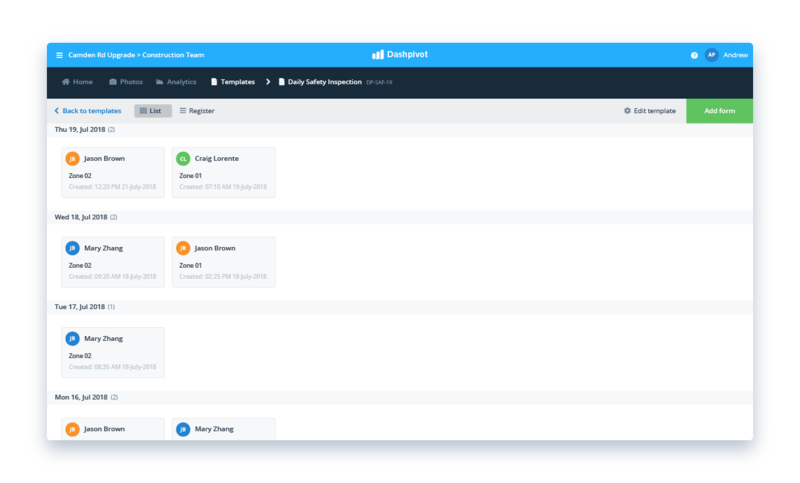 Track progress automatically and get new insights about performance. 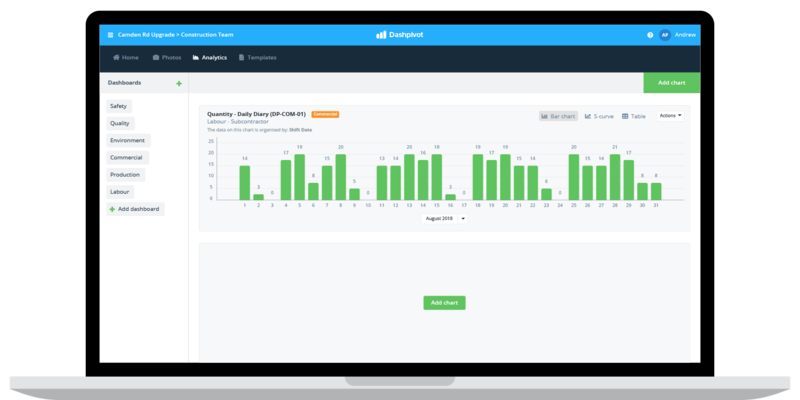 The site diary app and software automatically aggregate all of your site diary data, so you can create custom dashboards and automated charts which show you exactly what you want to see: quantities, ratios, KPI's and more. Instantly toggle between formats to automatically convert your site diary data into a register and eliminate double handling. 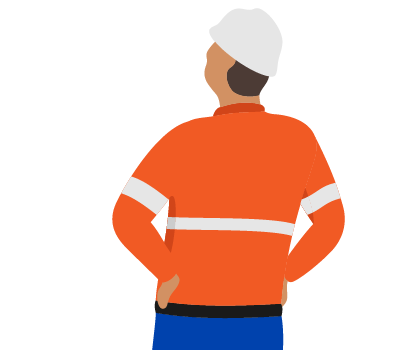 Your site diaries are automatically organised in chronological order for easy traceability. The perfect view for summarising and viewing all site diary entries. Instantly convert your site diary entries into a register. More than 'just' a site diary app, if you want it to be. Sick of having so many different apps, tools and systems to login into, use and maintain? 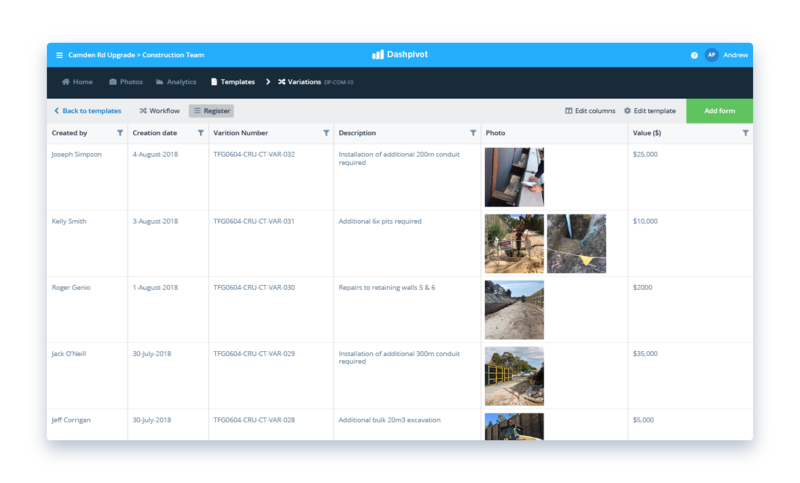 Dashpivot is a flexible app which works for commercial use cases like site diaries, change orders and variations, and for other site activities and processes including daily reporting, safety inspections, quality inspections and more. 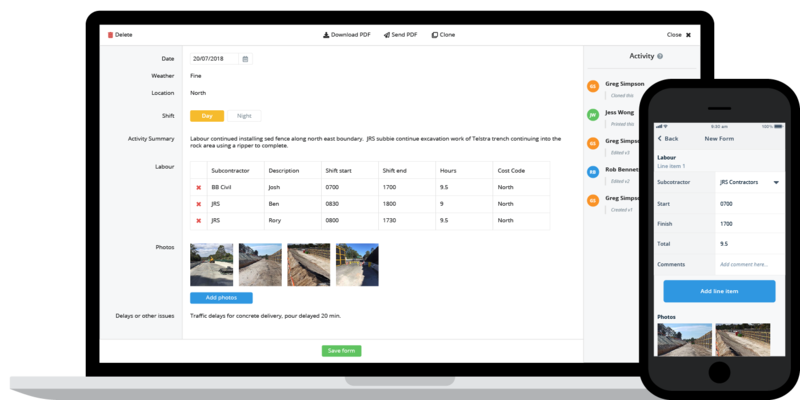 Use Dashpivot to take care of just your site diary, or consolidate your processes into one smarter system. Easy to learn and pick up on. Intuitive user interface. Instantly streamline your site diary now, using this site diary app and software.